Spring has finally sprung here in Denver and it puts me in such a mood to entertain! There are so many special occasions in the spring that would be reasons to celebrate. 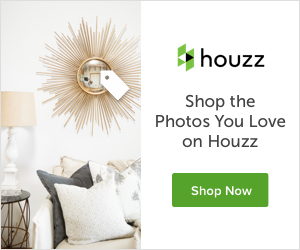 Easter, Graduation, Mother’s Day, bridal showers, birthday parties, and so much more. 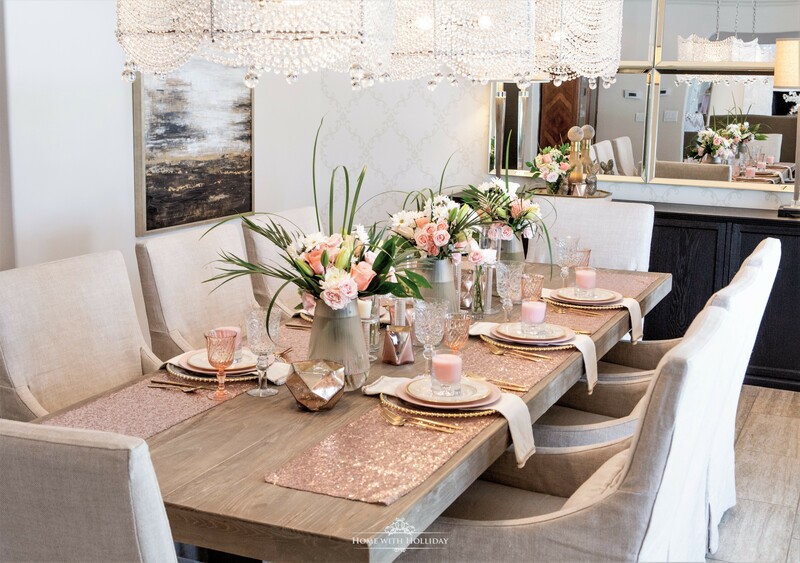 Today, I am sharing a new Blush Pink and Gold Table Setting for spring that could be used for all of the above. *This post is done in partnership with Safeway, but all of my commentary and opinions are my own. Ever since I moved to Colorado, Safeway has been my local store. I have always been so impressed with their floral department as it features so many more items than just flowers. That would include tableware, gifts, vases, candles, potted plants and many other decorative items. As spring approaches, I always look forward to creating our table setting for Easter. Fortunately, we have had some wonderful Easter traditions and gatherings throughout the years. It is such a happy occasion as we enjoy watching the little tikes running through our yard in an Easter egg hunting frenzy. It is also special for us to be celebrating the risen King! 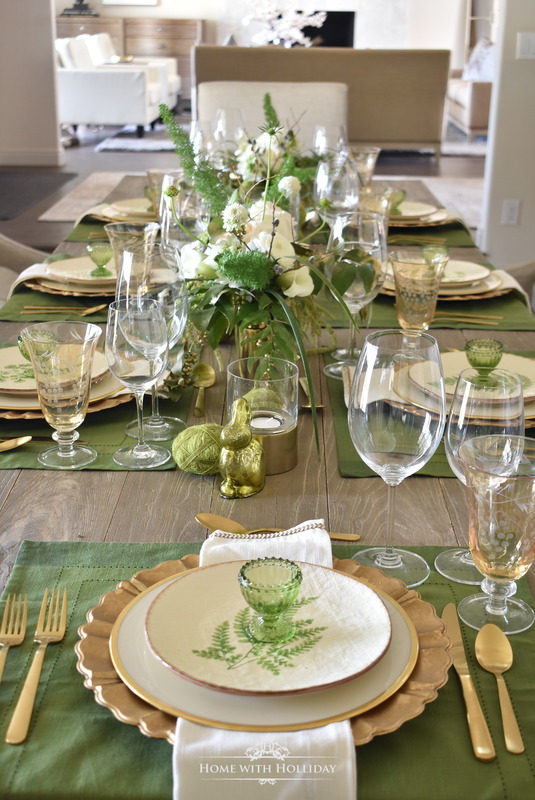 Today, I am sharing our Green and Gold Easter Table Setting for this year. This year, we will all not be in town for Easter so we are going to celebrate a little early. Last year, I created a Green and White Easter Table Setting that was really fun and I decided to use green again but mix it with gold this time around. Gold fits with the more formal look I wanted to achieve. This post contains affiliate links for your convenience and to keep this blog up and running.